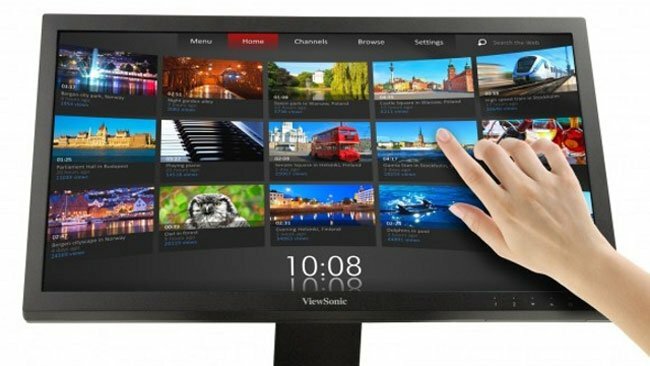 ViewSonic has launched a new 23 inch multi-touch monitor at this years CES, and the device features a 10 point capacitive touchscreen display, plus a built in ARM11 processor and 802.11 b/g/n WiFi. The ViewSonic 23 inch multi-touch monitor can be connected to your smartphone, so basically it is capable of extending your smartphone display on the monitor, for watching movies and playing games. As well as the smartphone feature it also comes with VGA, DVI and two USB ports, there are no details on pricing and also no details on when it will be available.